This topic contains 4 replies, has 1 voice, and was last updated by James no Bond 1 year ago. The ancient word “人” is like a man bent over his side. The original meaning is an upright animal that knows how to be humble. ISN’T THIS INTERESTING? 😁In ancient China, men were laborers, they were going to work in the fields, and they needed strength. “男” is a meaning compound: it’s the males who use their strength (力) in the fields (田). “女” (nǚ) —— a rough stick drawing of a woman (with legs modestly crossed). 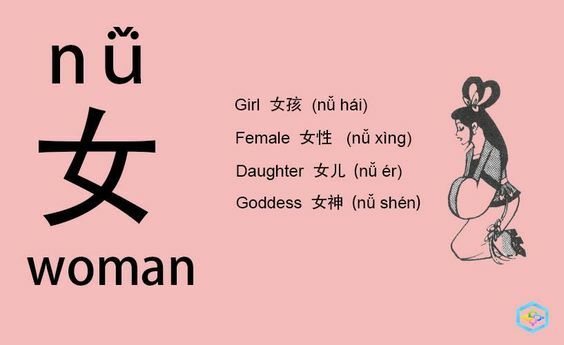 It occurs as an independent character and means “woman” or, occasionally, “daughter”. 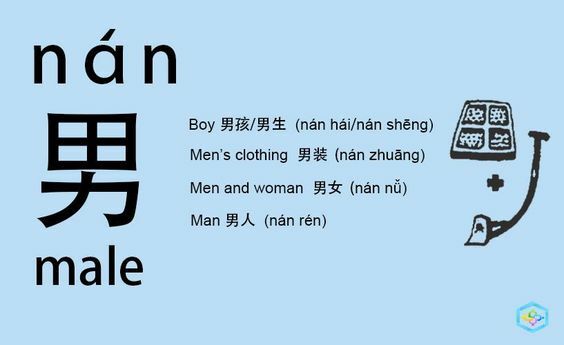 上身 = shàng shēn = upper part of the body. 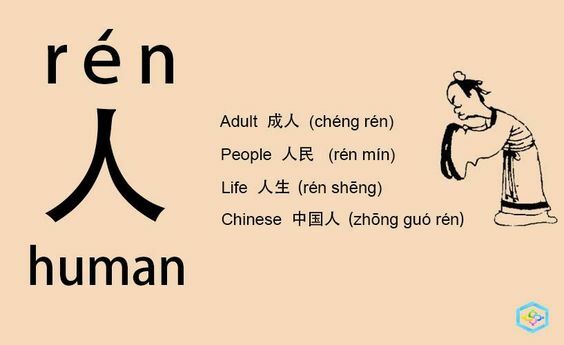 年头 = nián tóu = year/years/long time.